How many of us grew up playing the Snakes and Ladders game as kids? The gathering of family around the colorful board, the rush of joy we got when climbing a ladder, and the disappointment when we got bitten by a snake, are memories that we always cherish. Today, this age-old game is being used by Mahila Housing SEWA Trust (MHT) - an NGO that aims to improve the habitat conditions of poor women in the informal sector - to impart messages on climate change, its adverse effects, and building climate resilience. 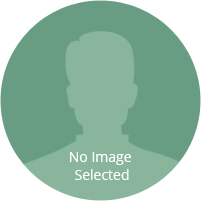 Lakshmi hails from a slum settlement in Bhopal called Garib Nagar. A community of 400 households, the area is severely affected by water-logging and vector-borne diseases during monsoons and water scarcity during summers. Uneducated and poor, Lakshmi was oblivious to the concept of climate change, although her community has been suffering through increasingly hot summers and heavy monsoons for years. Even after she was introduced to climate change through the community-level meetings, Lakshmi failed to link it to the water scarcity or frequent diseases that her community had to deal with. It was then that MHT introduced the Snakes and Ladders game. Urban slum settlements like Lakshmi’s are highly vulnerable to the impacts of climate change. However, the people remain completely unaware of the reasons behind the adversities they face and how they can address them. MHT uses simplified communication methods such as games, demonstrations, one-on-one meetings, videos, wall paintings and street plays to generate an interest in people and introduce the concept of climate change, its impacts and build climate resilience. 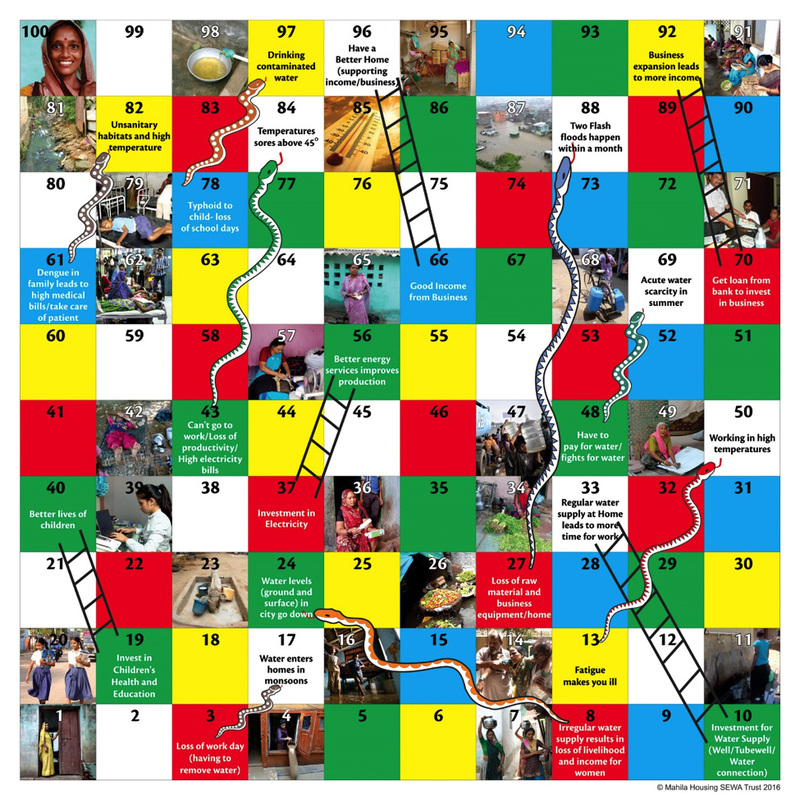 Introduced in 2016, the Snakes and Ladders game is played during training sessions and community level meetings in 105 slum settlements in India, Bangladesh and Nepal. Through the game, around 3,500 women, who otherwise would not have had any knowledge about climate change or its impacts on their day to day lives, have come to understand the true reason behind unbearable summers and monsoons, and appreciate long-term planning, and focus on healthy living. Another community member, Babitha, has also played Snakes and Ladders multiple times. She acknowledges that in addition to keeping her entertained during her free hours, the game has also improved her understanding about her own living conditions.